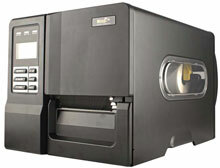 Wasp WPL406 - Thermal transfer Industrial Printer, 203 dpi, 4" Print width, Ethernet, USB, Serial interfaces, Peeler. Interface cables sold separately. The WPL406 industrial barcode printer features a low profile, industrial design at an affordable price, and delivers the reliability your organization can depend on. Durable construction and flexible connectivity options (Ethernet, USB 2.0, and Serial) make the WPL406 an excellent option for manufacturing, warehousing, distribution, retail, and health care environments. Featuring an all-metal exterior housing and die-cast aluminum print mechanism, the WPL406 can withstand even the harshest of conditions. 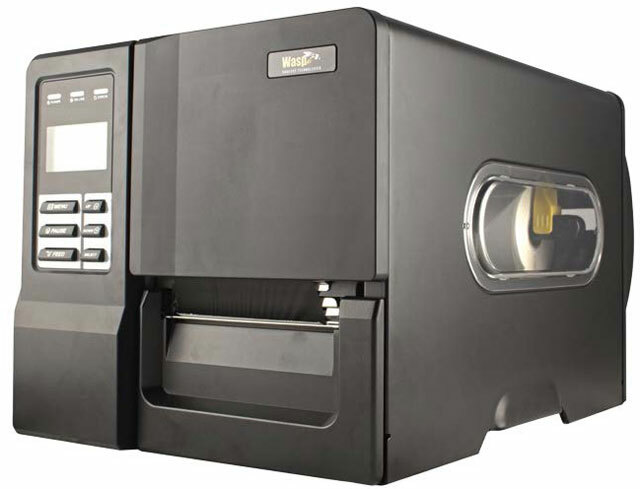 Print speed of up to 6 ips at 203 dpi resolution is supported by 8 MB of SDRAM, and 4 MB of Flash memory, making the WPL406 ideal for high volume print applications (up to 10,000 labels per day). The WPL406 industrial barcode printer includes a LCD display, with 6-button control panel for easy installation and use. The Wasp WPL406 includes with a 2-year manufacturer's warranty covering material defects. Manufacturer warranties can be extended and upgraded to cover accidental breakage with the purchase of an optional WaspProtect extended service plan. The Wasp 633808404093 is also known as Wasp Bar Code	633808404093	.